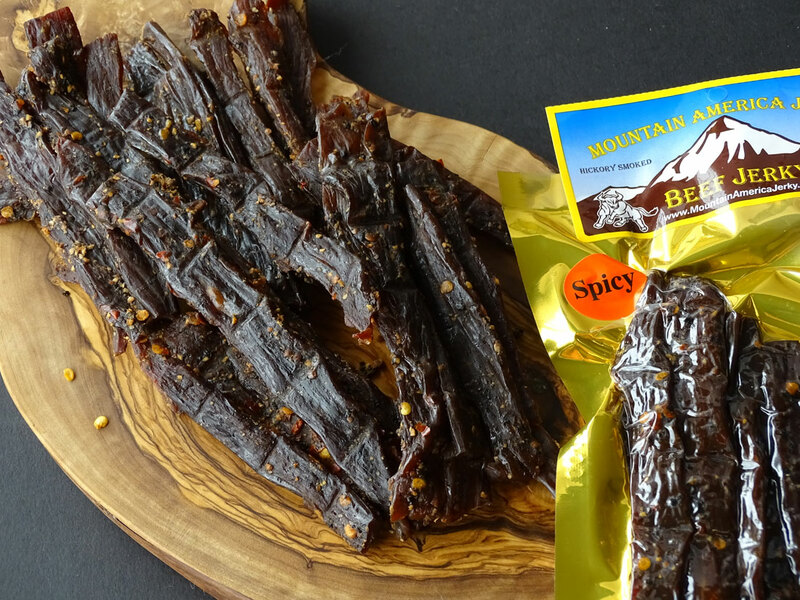 If you like things hot, give our spicy beef jerky a try. 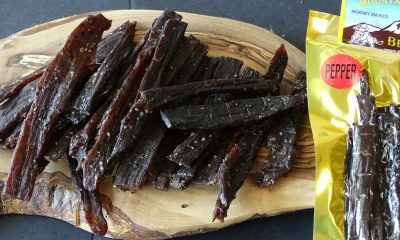 This jerky gets its heat from a combination of black pepper, crushed red pepper, and a touch of cayenne for a powerful spice blend that will kick up and smolder in your mouth! 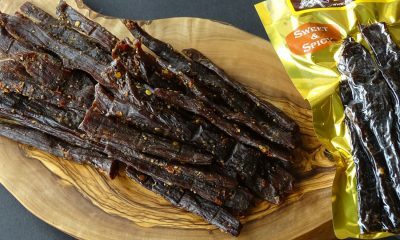 Our spicy beef jerky is the ideal flavor for spice lovers who like things simple. It is made from small herd, locally sourced cows (no feed lot cattle) and is thick cut, marinated, and hickory smoked daily. It is preservative-free with no MSG, nitrates, or other fillers. Try some today and discover why our customers order this flavor time and time again. 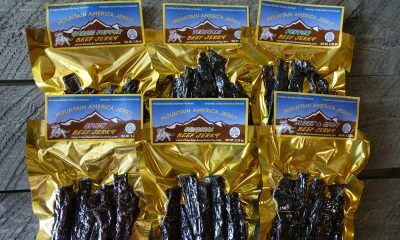 I’ve been buying from Mountain American Jerky since they had a yahoo email address and I found them on some jerky enthusiasts website. My family loves it. And while it’s now no surprise now that they get a “stocking of jerky” at the holidays or a box full for their birthdays, I swear they are all still excited. Personally, I like the spicy recipes, but my dad, brother, and husband love the exotic and peppery ones and my B-I-L has a borderline unhealthy obsession with the duck jerky. Thank you, MAJ.
Best jerky I’ve had in quite a while. It’s not like all the store bought crap that tastes like fake beef. Great for camping/hiking. This jerky is very good. I appreciate the lower sodium content and the natural ingredients. 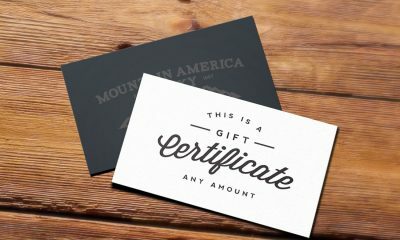 I’m going to spread the word about this company.